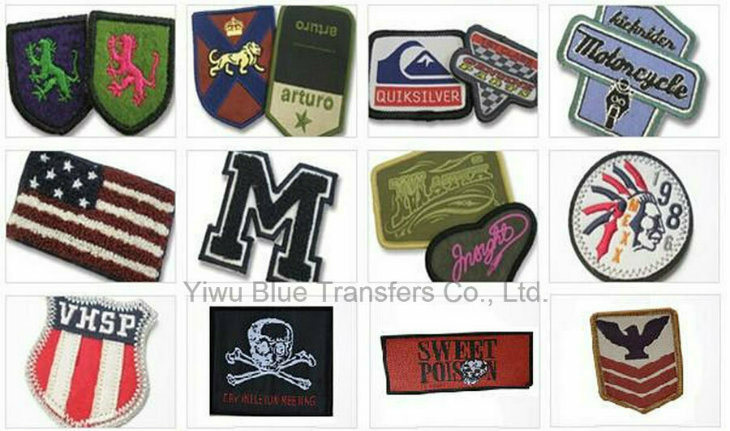 Uniform patch, Flag patch, Unit patch, Military patch, Security patch, School patch, Club patch,Â etc. * Send your designs or samples to us. * State your size and quantity. * Tell us colors for patch. * Due to the custom of every individual order, we do not include pricing on our website. * Instead we ask that you give us a email to ensure you get the best pricing available. * Packing: 100 PCS/bag, bags packed in the carton. * Sample making normally takes 3 to 4 days. 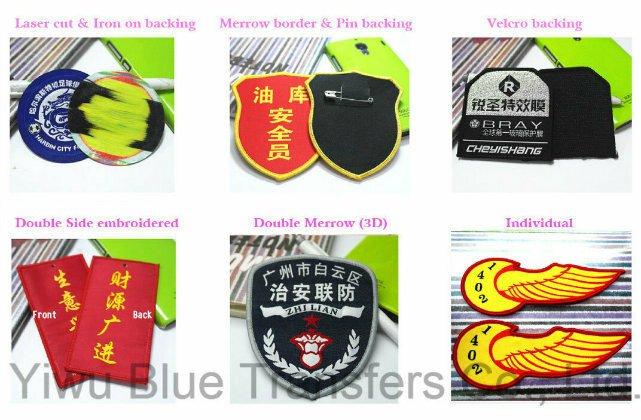 * Production time is around 8 to 10 days, it is depend on quantity. * All of our products are custom designed to meet your individual needs. * if you have an idea,just let me know, we can make a design for you. * If you have any question, please feel free to contact us any time.